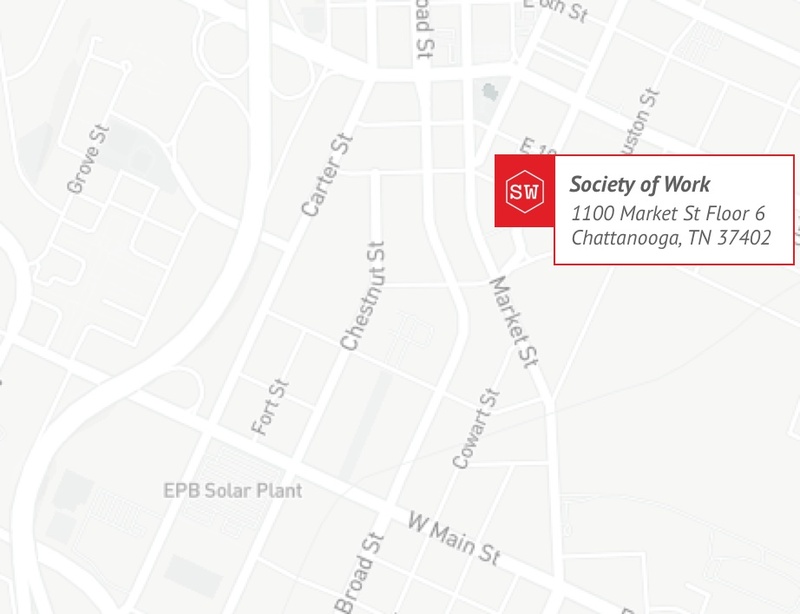 The Society of Work is a shared coworking space in Chattanooga, TN designed with business flexibility in mind and the resources to help like-minded people connect and create amazing things together. Special offer: free trial day pass with tour! 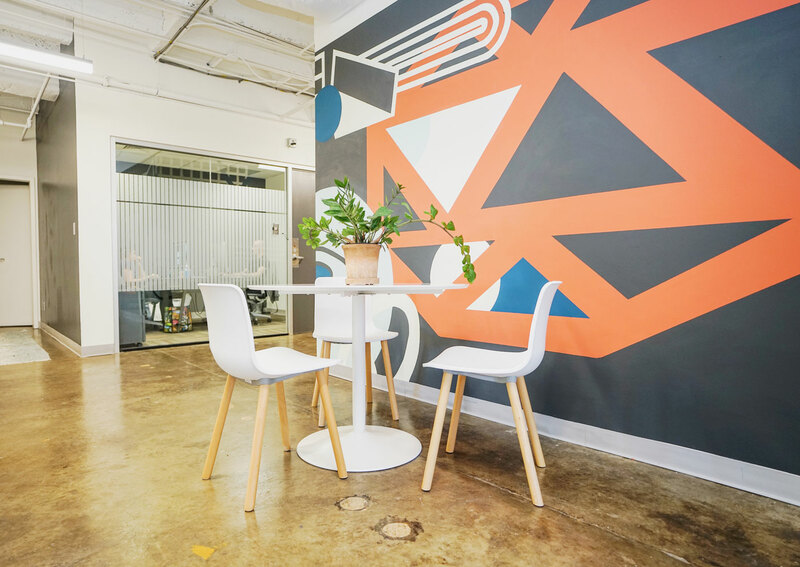 Learn more on how coworking benefits your business. 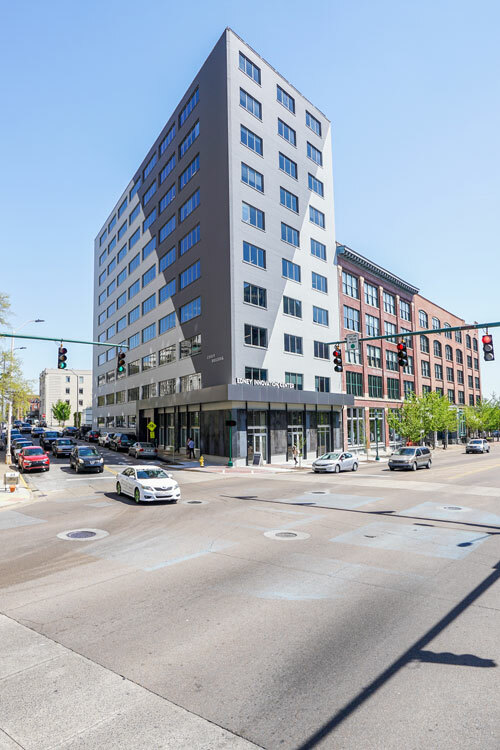 Society of Work features two floors of coworking space in the heart of Chattanooga's Innovation District from common areas to phone booths to private offices for small teams. 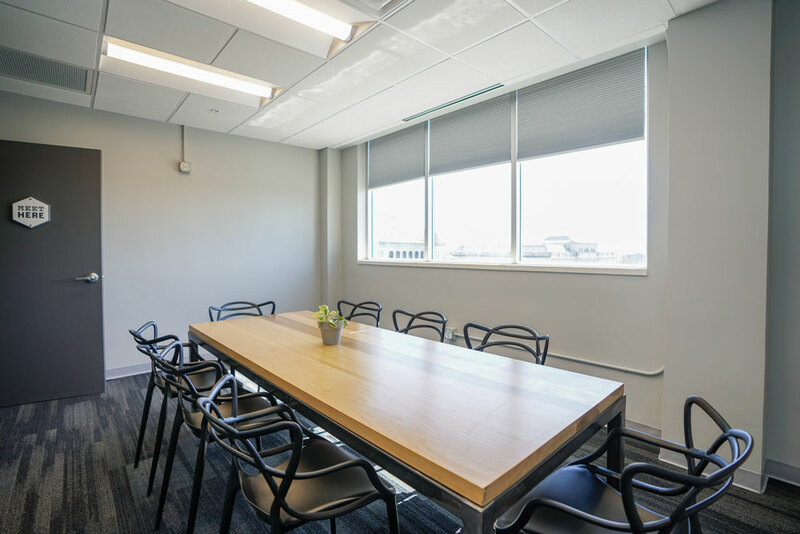 Whether your idea of a much needed break leads you to cup of coffee with a coworker or out on our rooftop for a breath of fresh air, we've got you covered. Gigabit Internet Reliable gigabit (very fast) wi-fi on all floors including rooftop. Conference Rooms Various sized conference rooms are available for members with audio/video hookups and whiteboards. Business Address Receive mail and packages to your official downtown business address. Phone Booths Private booths for taking phone calls. Some of the brightest minds from the best companies inside and outside of Chattanooga are already here. Ready to visit Society of Work? 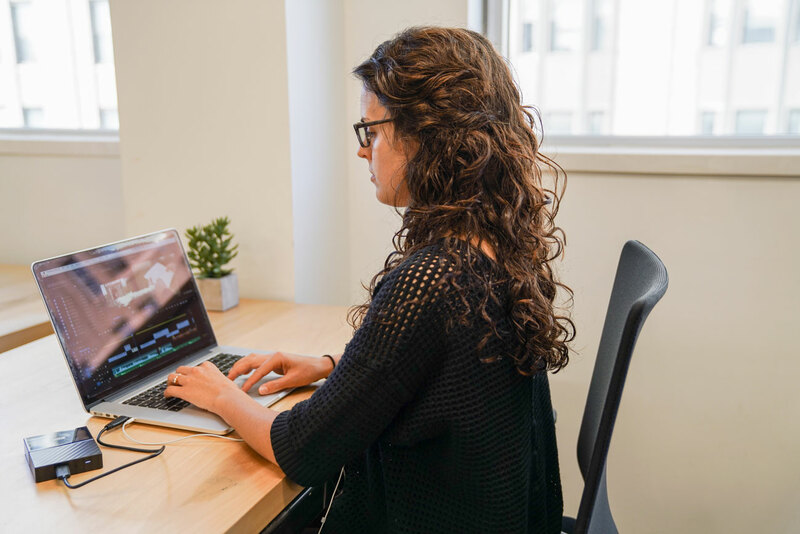 Society of Work is THE place to work and connect. I'm so grateful to have this place as source of focus + networking. There is no value I could place on how great this place has been for my work life/flow. And I love the feel of the coworking spaces, the vibe the building, and the amenities it provides! Most importantly great tenants and hosts. The best place to plug into the startup community with great facilities and a constant flow of events that are enjoyable and topical. We love working at Society of Work. 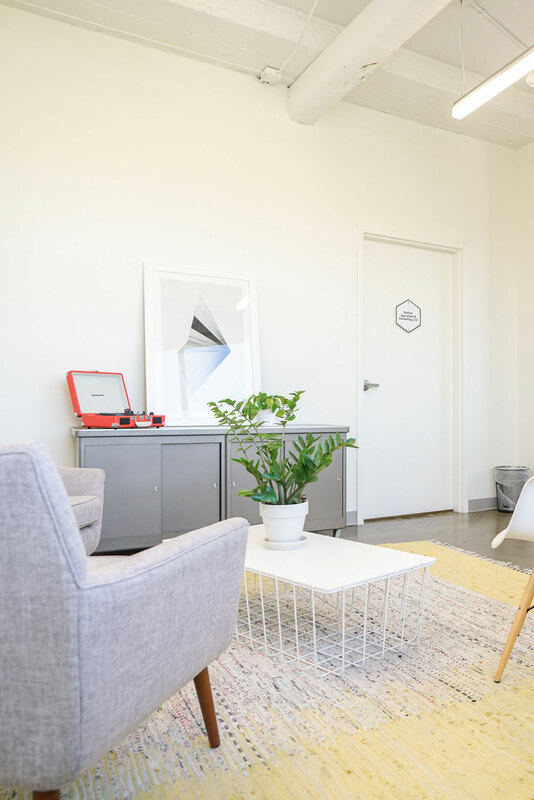 After having worked from home for some time, this space has been such a wonderful alternative to allow for more focused work and great interaction with others. 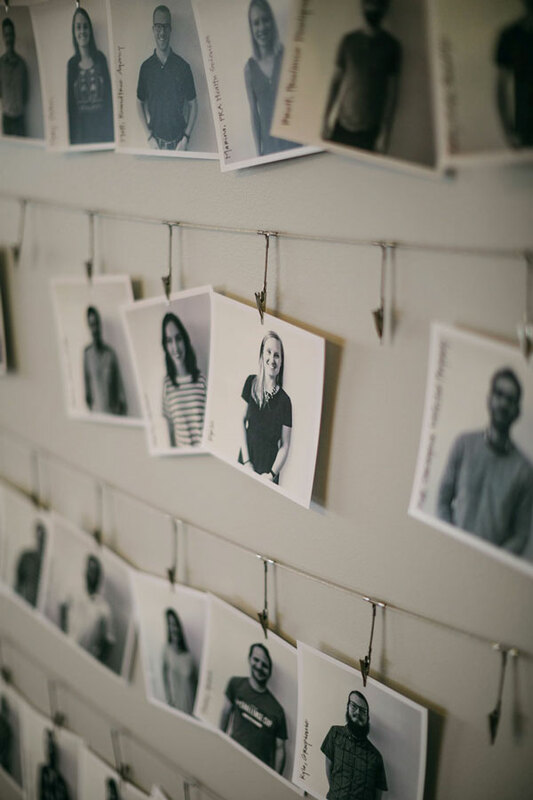 The community of people and the comfortable space is just right for our team. We couldn't be happier! Get latest events and SOW news in your inbox.